Another Brazilian Midfielder linked with a move away from Chelsea! It's not the first time and definitely will not be the last, but Oscar is being linked with a move away from Stamford Bridge this summer with Italian Newspaper Tuttosport claiming that Juventus want to sign him. As I have said this isn't the first time the Brazilian has been linked with Juventus. Last summer as Andrea Pirlo left the Italian side Oscar was touted as his direct replacement but nothing ever materialised. Just one year later with a reported valuation of around £25m, Juventus are keen to make their intentions known. "I want to stay here for a long time. I want to win more games, more trophies, because I love Chelsea, I love the fans. I like the city, my family like it here." However, times change and with a new manager coming in, I wonder what the future holds for him? If it was down to me, I would do everything I could to keep him and play him week in, week out and not leave him out as often as we do. That's the problem though isn't it, for whatever reason, Oscar cannot seem to hold down a regular place in the team and is either substituted in games or he is the one that has to make way if we play with two holding midfielders and Cesc Fabregas pushes further forward. There are so many variables this summer and until the new manager is announced, no-one will really know what is going to happen with our current squad and the subsequent plans for the future. One thing is clear however and that is if Chelsea want to challenge to get back into the top four next season, bearing in mind the level of competition there is going to be with Pep Guardiola, Jose Mourinho and Jurgen Klopp managing our rivals, then we MUST try and keep as many of our best players as possible. 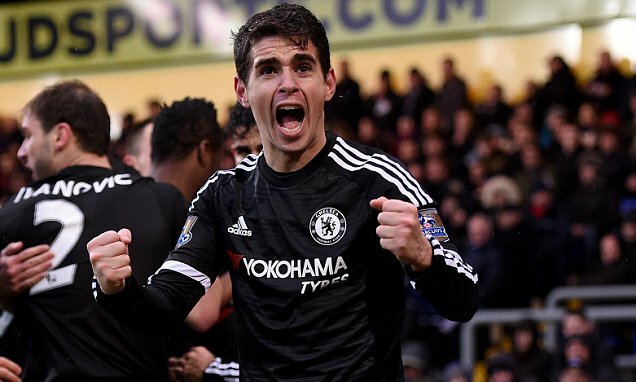 Do Chelsea consider Oscar to be one of those players? I am not so sure. Oscar is a class-act and someone who has developed the defensive side of his game to become one of our best defenders in the oppositions half. How many times do we see him make important tackles or blocks when he presses high and forces the opposition defenders to panic? He is one of the best in the league at doing so. With the ball he has demonstrated time and time again that he has what it takes to become one of the greats. Two footed, skillful, fantastic technical ability, an excellent set piece taker and a goal-scoring midfielder, Oscar could really develop into someone special IF he was given a regular start. It seems as though Juventus see his potential, it's just a shame that it seems as though Chelsea do not! What do you think of Oscar ? Would you want to sell him? Why do you think he is always the scapegoat?